You may very well have heard of the international anti-poverty campaign, Live Below The Line. Held this month and next it raises awareness and funds for the 1.2 billion people in the world, nearly twenty times the population of the UK, living in extreme poverty each day. Guardian writer, cookbook author and antipoverty campaigner Jack Monroe, previous Archbishop of Canterbury Dr Rowan Williams and Sherlock Actress Amanda Abingdon have all wrote of their experiences joining the campaign by living on just £1 a day. 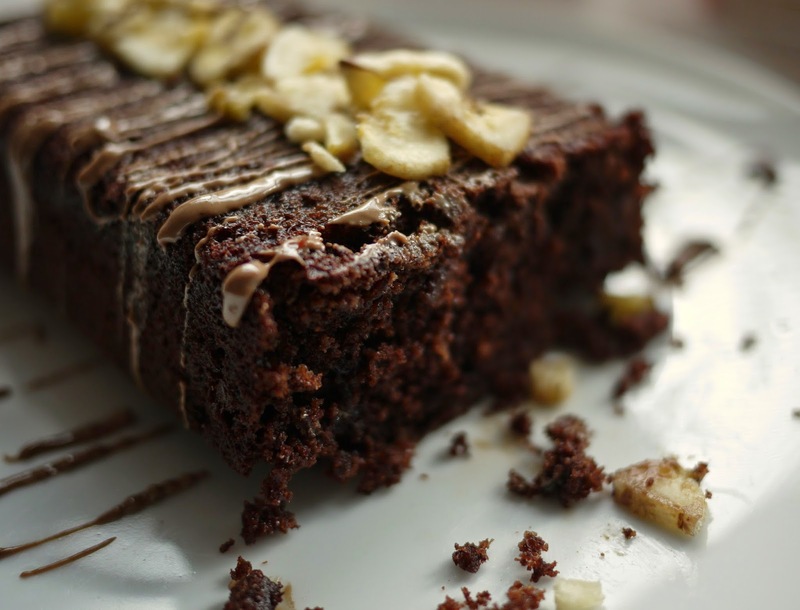 Meanwhile, Choclette from Chocolate Log Blog has set the challenge of baking a chocolate cake for £1 or less for this month's We Should Cocoa blogging challenge. It's proved absolutely fascinating so far seeing how all the entrants have produced a delicious chocolatey cake for less than one British pound. From baking on really a rather regular basis I knew the challenge would be cutting the costs of the eggs and butter, traditionally the most expensive ingredients in any cake. 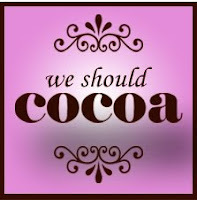 Decent chocolate would also nudge the costs skywards. I scribbled down some olive oil based recipes, researched how to cut down on the egg content and figured a smaller loaf shaped cake would save on the costs of ingredients. And then, among all the fluttering scraps of paper, I spied a very ripe banana in the fruit bowl. Perfect: it would add flavour, depth and avoid an over-dry cake. The final costing came in as just under £1 for the cake itself and just over £1 with the decoration, as detailed below. My testers were pretty impressed and asked for seconds...the cake was gone in (erm...) seconds. This challenge has made me really appreciate how much I take for granted the freedom and ability to buy pretty much any ingredient I like, mostly regardless of the cost. Looks delicious, love the banana chip topping its really effective! Well done on 98.3p! Thank you Anne! The decoration cheekily brings the total over a pound but I do like a pretty cake! Oh, your cake is quite beautiful Kate. Taking it a few pennies over the £1 for that seems totally worth it. Beauty as well as taste give a much needed boost to the spirits. Thanks for taking part in the challenge. It looks delicious and I will bookmark the recipe for future use. You're right, we do take freedom of choice of ingredients for granted and this challenge has been good for making us think about costs properly. This is fascinating - baking uses so many store cupboard ingredients that it is really interesting to see exactly how much making a cake costs. Plus it looks delicious! The geek in me enjoyed doing the maths! well, yours wins hands-down prettiest cake... well done for doing it so beautifully! Wow what a gorgeous looking cake. 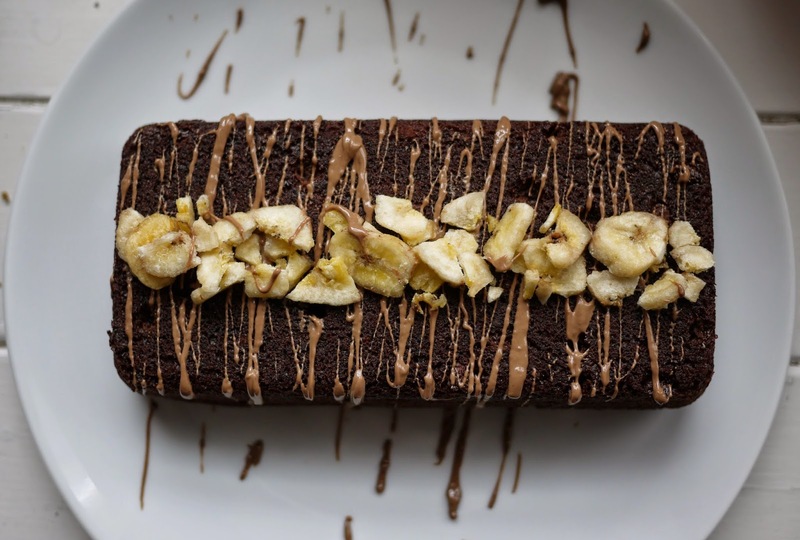 I love bananas in cake so I'm sure it added lots of flavour and texture. I am really impressed at everyone's cakes for this challenge and have yet to work out what I'm doing! And me- I've thoroughly enjoyed reading everyone's contributions and ideas! I love this and will be mentioning it in my next cooking on a budget course, thanks! 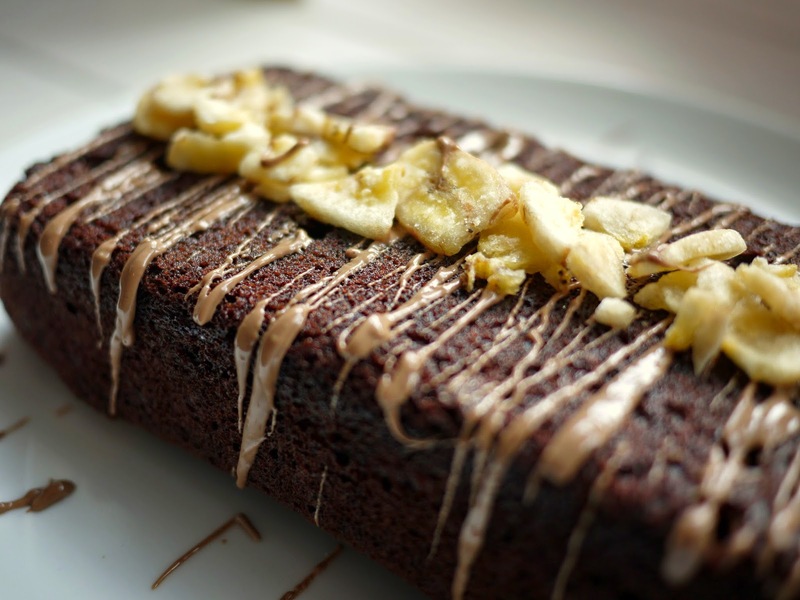 I love banana and chocolate together and this cake is wonderful. Love your photos here too! Thank you so much Laura- that's great to hear it'll be hopefully a helpful addition to your next course! It's a really interesting challenge isn't it? I've just had a go and although I'm quite pleased with the results, my cake is not as beautiful or as interesting as yours! Seriously impressive! Ahh, thank you very much Katharine! Wow this is awesome! :) As if it was just a pound. I wouldn't have guessed this cake cost less than £1 to make. It's lovely. I'm definitely taking my hat off to you for this cake. That amount of yumminess for less than a pound is a deeply impressive feat.